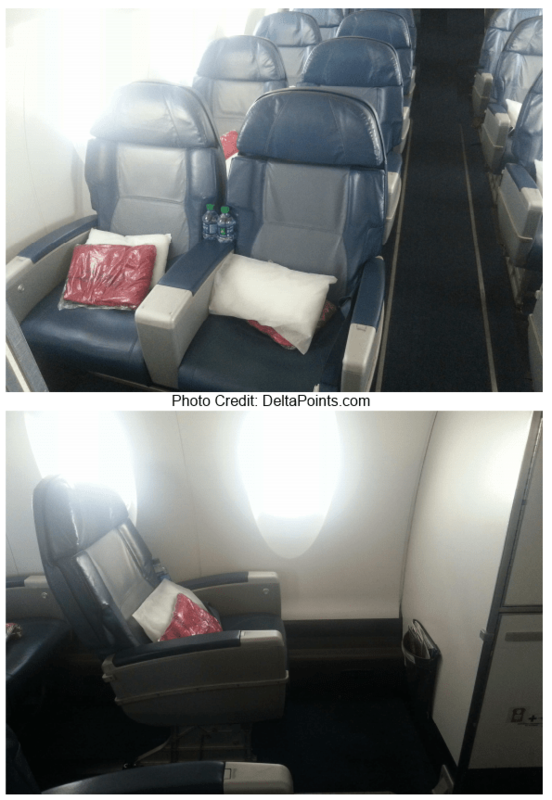 What is it like to fly 15,000 miles in 3 days on Delta Air Lines? Really a “fun run”! As you can see from the map above, from my first flight on Wednesday afternoon till my landing Saturday afternoon, I racked up almost 15,000 miles and did earn 15, 138 MQM’s and 30,276 RDM’s for flying and another 1905 RDM’s (2x$635 purchase price since I used my Delta Reserve AMEX and 635 SPG for my CrossoverRewards) paying for the tickets. Total haul on RDM’s was thus 32,181 – not bad at all and I will break down the cost more later on! I drove to reposition to MKE Milwaukee airport. Google maps told me it would take about 3 hours from SBN South Bend airport (I am 30 min from there) and they were about right. 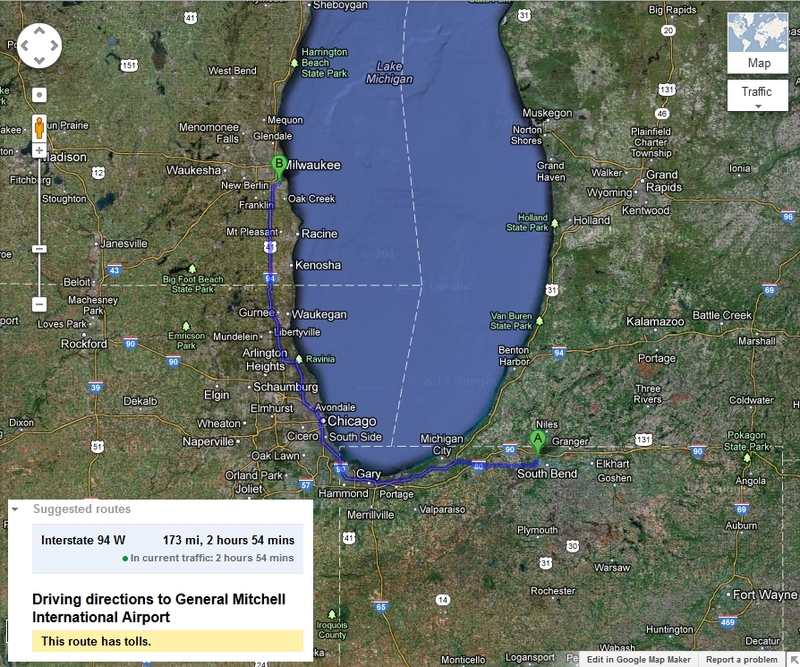 I got stuck in some Chicago traffic and the trip took 3 ½ hours to get there and a little over 3 to get home. I took as few toll roads as possible outbound and then splurged and took the fastest way home. MKE is nice. The $6/day lot is big and the shuttles run all the time. One pulled up and I literally tossed in my bags before I locked my van. Perfect. No TSA Pre Check at MKE, but the line was short and went fast so I could get to the Skyclub. It is still a work in progress as the “luxury bar” is not yet done, but the space is nice and some of the chairs are comfortable and others really NOT! “Are you René? 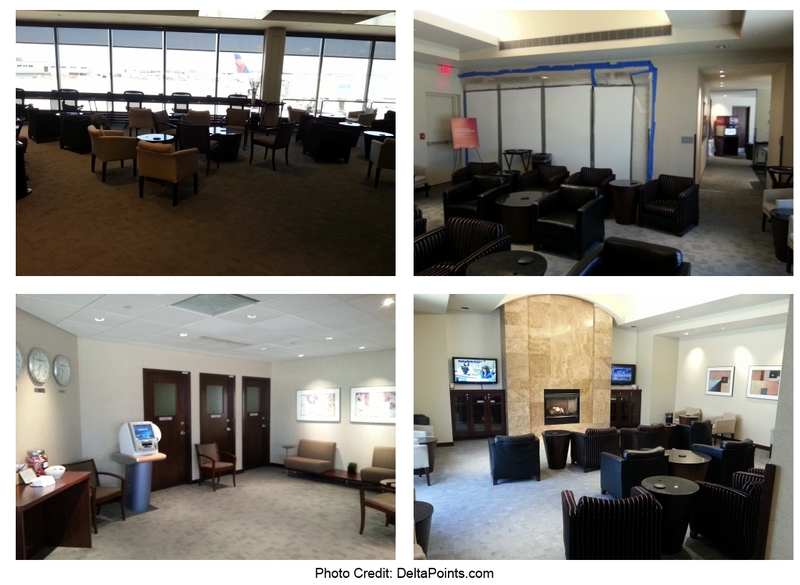 I read your blog and am on a mileage run I found on DeltaPoints”! You have got to be kidding me!?! Leg one, in business, I get to ride with and meet George. He was finishing his run and was also upgraded on the leg back to LAX! Then, another long time reader and twitter follower Elijah is on his way into ATL so we meet briefly in the Skyclub (readers are really everywhere)! 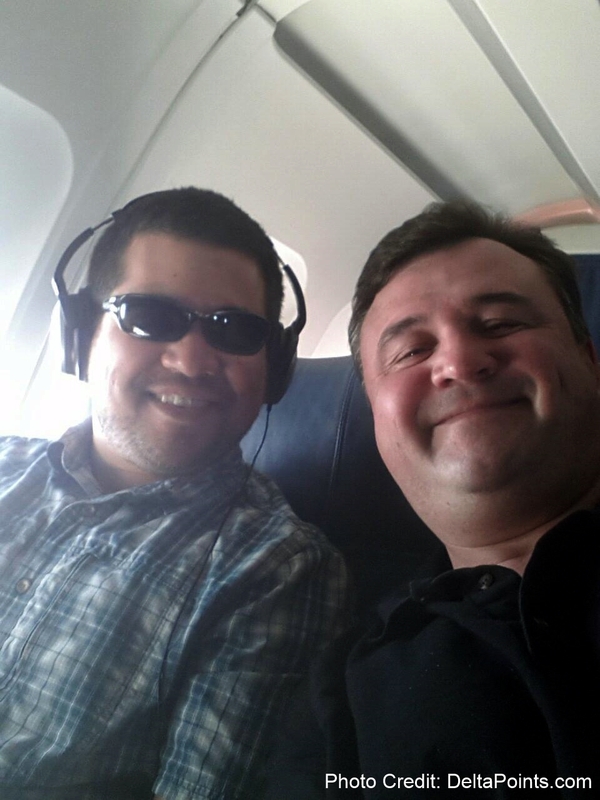 It was so good to fly with you George and fun to at long last meet you Elijah and I hope next time we have more time to chat. The next two days really were mostly a blur and as I have talked about before that when you do a mileage run this long with just a few hours between each leg, the time begins to compress as you hop from east coast time to west coast time. I was totally stressed out about the up to 12 inches of snow that was forecast in MSP, but day one showed none and day two had just some flakes in the air. Both of the over nights were upgraded so I slept well and even ran into another reader getting off the redeye! 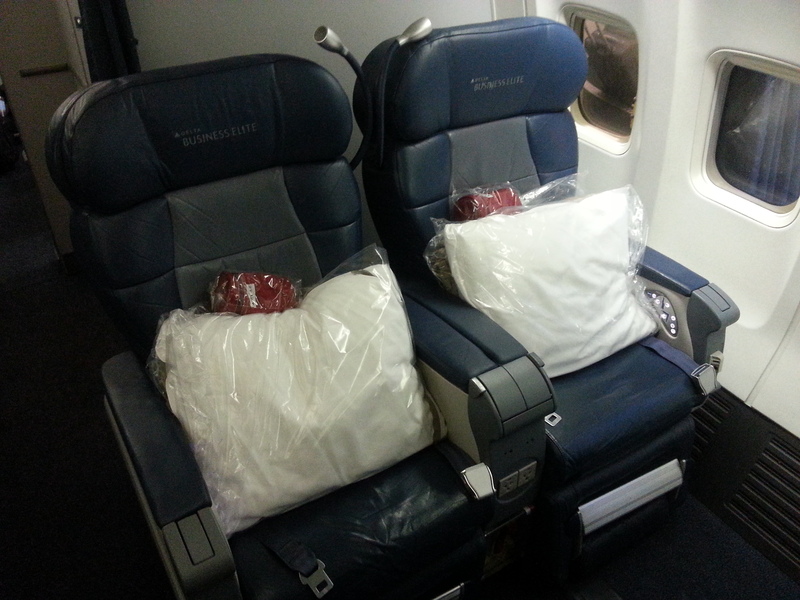 The one leg of the first 8 that did not get upgraded was a ATL-LAX 767-300 and I always pick row 26B if I can. It has less padding but I am all about leg room and this seat/row has it! As you can see just how much room (much more than EC) and you will have both the tray table in front of you AND the one in your seat arm. Me “likeee”! 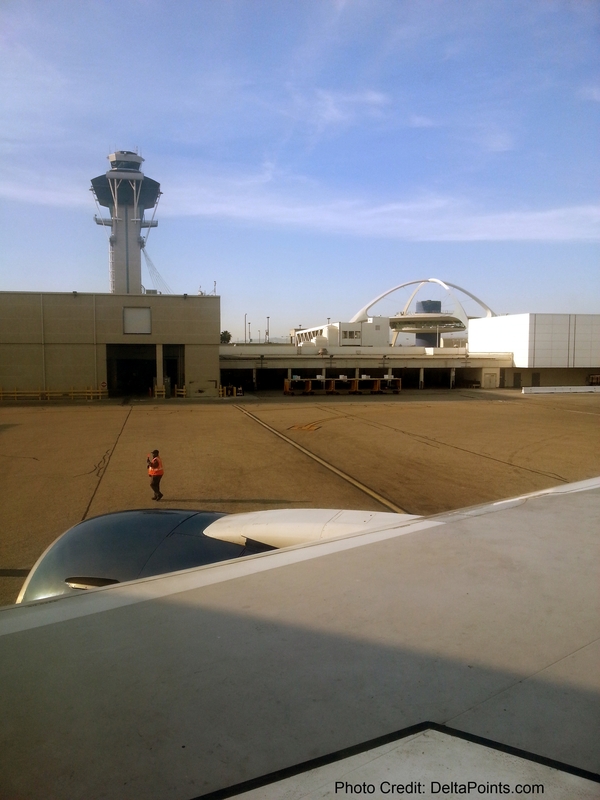 I have already touched on the LAX Skyclub and my brief nap there before my day 2 night flight, but there were other musings along the way I wanted to share. 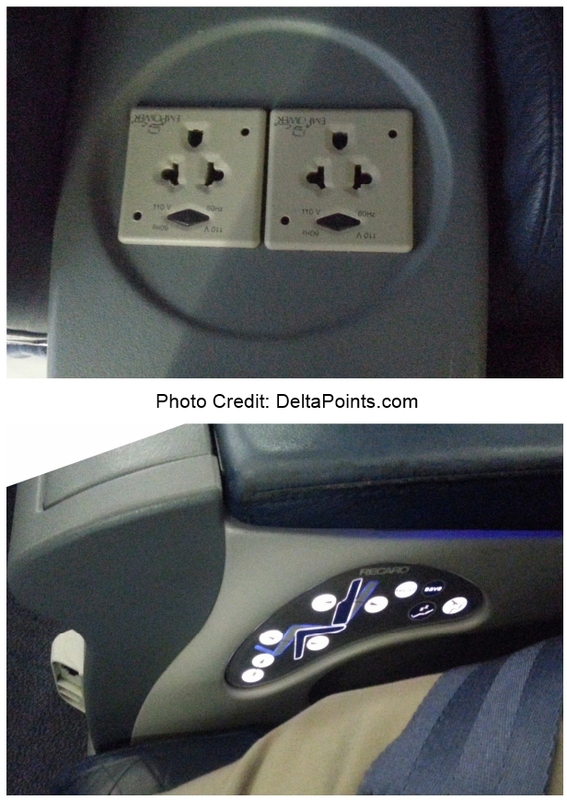 Most of us, me included, are just SICK of all the “enhancements” to the Delta program this year. One thing that Delta never ever seems to enforce is the Size Check (old size wise) box. 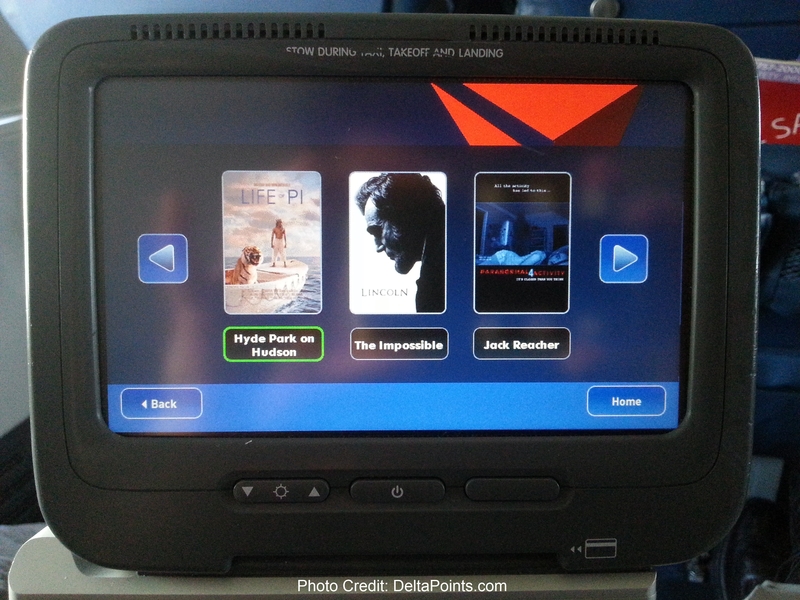 I BEG you Delta to do this. If this were enforced and rather than allowing FREE gate check, Delta could make another few billion dollars this year and we would not run out of overhead space like we do now. This is the rare time I WANT a rule enforced, not winked at. How about you? Now on to my last 4 flights. Only ONE of them, the last one home had cleared preflight. 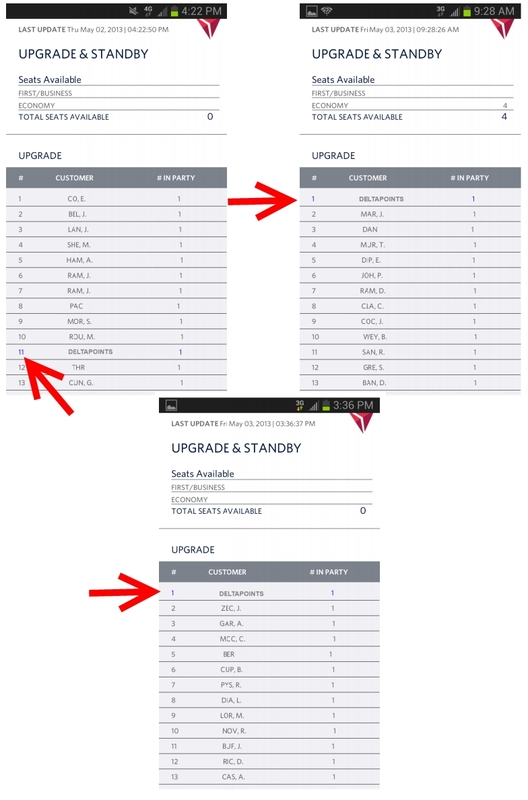 I expected the MKE-ATL to clear at the gate and maybe the ATL-LAX but as you can see, I ended up #1 on the upgrade list for BOTH of these flights with ZERO seats open in first class. 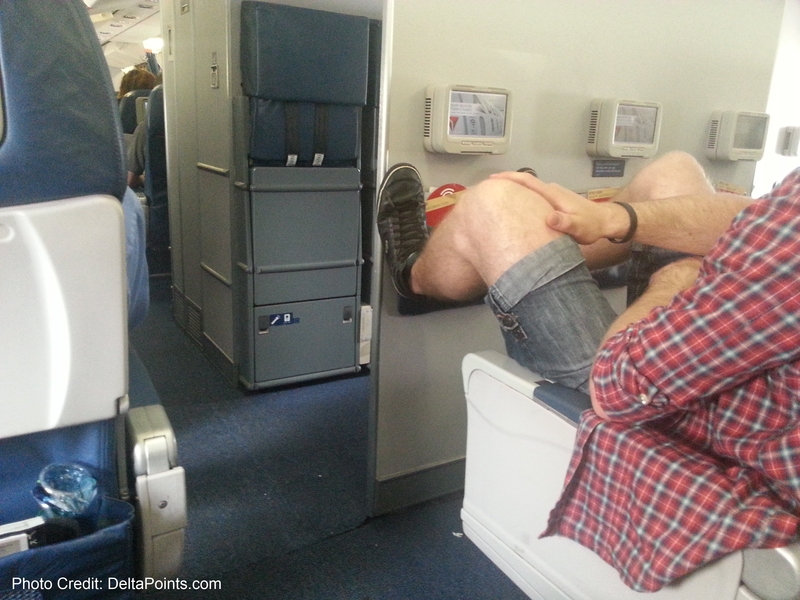 I would rather, like the other day’s flight, to be a few slots down than to end in the #1 spot with no seats. Makes me CRAZY and is #TheReason2BeDiamond as I tweeted about. If I had been DM I would have made it on 11 of the 12 legs and maybe all 12 preflight. I look forward to reporting how things go on my next run late in May with a fellow blogger “Will Run For Miles” who is joining me on the next great adventure. I used my phone for boarding most of the time, but checked in on my computer, printed the pass to a PDF, to get my free HOOU coupons, that I then sent to my phone, and each FA had NO problem putting in the code number into her/his hand unit to get me a free Woodford & Coke (thank you Delta). 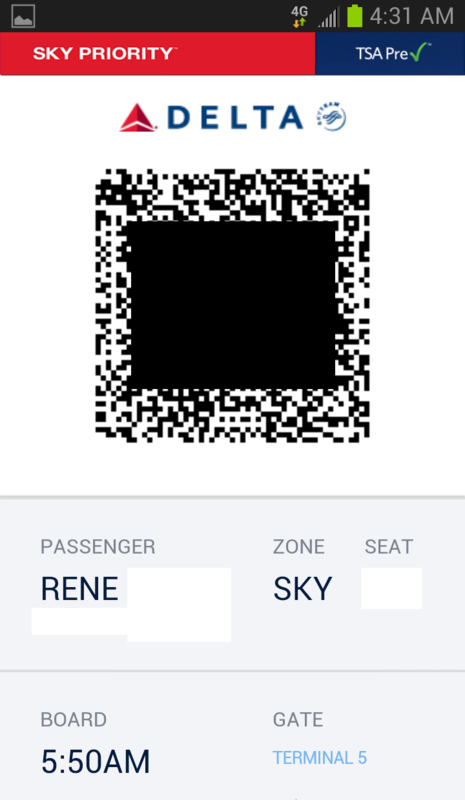 I also like that TSA Pre Check is showing up on the digital boarding pass as you can see. So after two legs in coach and missing upgrades by just one I was ready for bed at the Sheraton Gateway LAX. I will review the hotel soon, but one fun thing I did was get my phone out to time how long it would take for a shuttle to get to me after my last 45 min wait for the Four Points LAX one. Before I had a chance to get the stop watch app on my phone going it pulled up. I just giggled and enjoyed the view of the planes taking off into the sunset for a while before bed. Amazing! For my LAX-JFK (I got this routing BTW thanks to a schedule change after the MSP one got me home 2 hrs later than planned) I was #1 on the list. I dropped all the way down to #3 as a Platinum Medallion on a 6:AM flight on a Saturday. But as you can see with 11 seats open I scored the only battlefield upgrade of the trip and it was NICE. The only real irritation with the flight was the IFE or in-flight entertainment system. It has some very strange bugs going on. As you can see, the titles and the links did not match up. On the next screen you just got whatever move it picked. So, you had to click on the preview and then hope that was the movie that started after that. Ah well. I know, #firstworldproblems! 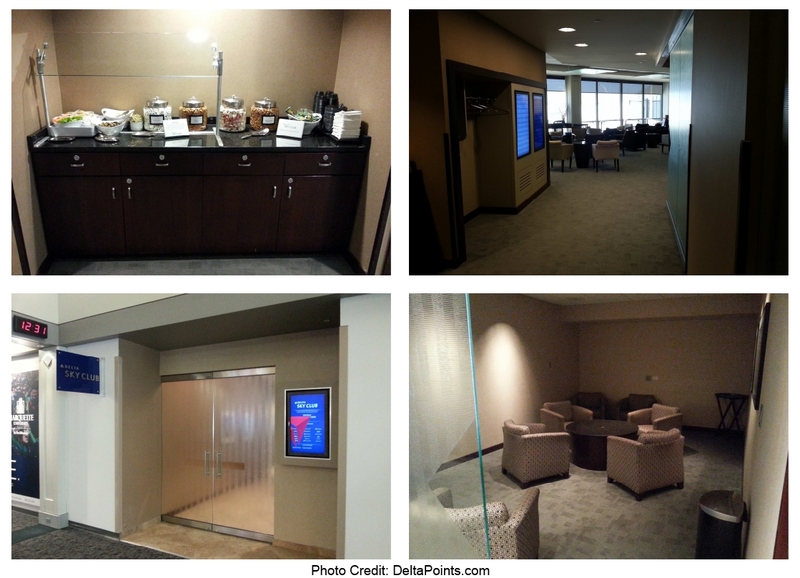 We landed 15 minutes early in JFK and I went to the Skyclub. Chatted with a few people about points and such and then off to the gate, but my flight was delayed. 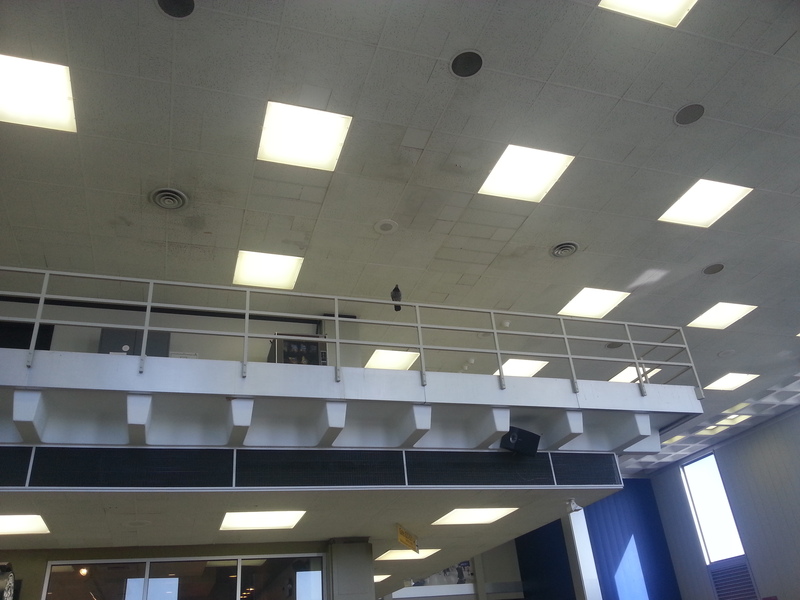 I found it very funny that in NYC a pigeon stared down at me at my gate! I can see why Delta is touting the new T4 so much and I hope it comes without the birds! And then guess what, my Pinnacle Jet was delayed by 2 hours. So back to the Skyclub and a $20 food voucher was printed for my dinner on the flight home! Since this was my last flight as a Platinum, it is fitting that I had the ENTIRE first class cabin to myself. Seriously, I was the ONLY medallion on the flight and had my pick; I have never had that happen to me before. So after a drive home that ended my 14,733 mile trip (if you count 400 miles driving round trip, I did break 15,000)! Now the math. I paid $24 parking, $15 tolls, and $68 in gas so $107 all-in. 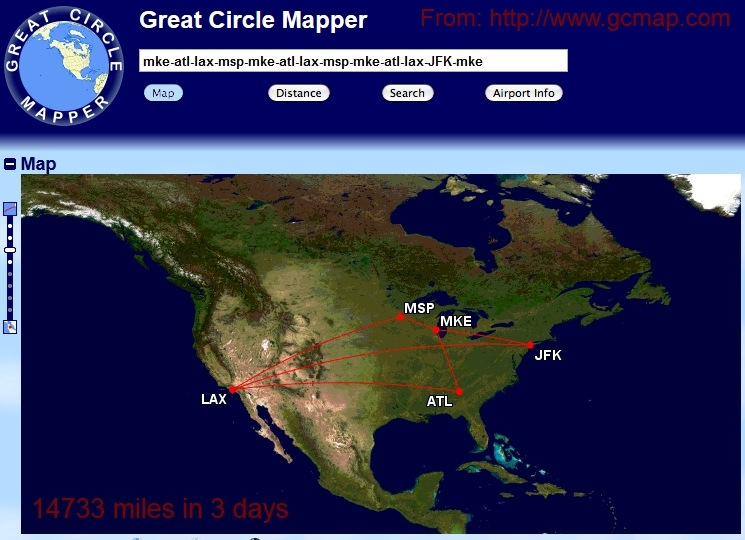 So if you are keeping track, this year so far after my IST and SBN-LAX mileage runs I have spent a total of $1,293 of my own money to get 32,252 MQM’s (4 CPM) and well over 65,000 Skymiles. I also, as I crossed my Platinum Medallion threshold, could have picked 20,000 Skymiles but will use that to gift Silver Medallion to a reader for the SWAG Saturday gift in July. When I cross Diamond I get to pick 2 more Choice Benefits and will gift my wife GOLD and will pick 25,000 miles as my other gift to myself. 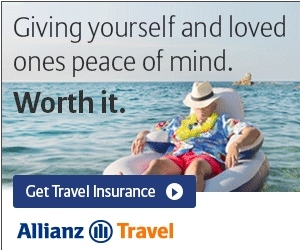 Bottom line, even giving up 20,000 Skymiles, 90,000 total worth $900 brings my out of pocket cost down to just $393. I am just ONE BUMP away from break even for the YEAR! How sweet is that. ← An amazing number of 50,000 point cards all vying for your business! Rene’, I would have counted the $107 in my calcs, bringing the CPM to $.05, which for me is borderline for a MR.
@Mark – we all do our own run/value and that is why I include all costs to giver perspective. To each his own! To me, this was perfect and of great value. does it bother you that DL’s SWU are the most restrictive, and their saver/low mileage redemptions is harder than a root canal ? @Jack – no the SWU bothers me beyond belief but low level seats are always possible to find with a little work and for routing and stopovers etc Skymiles has some of the best value of any program! Glad you had a winning run! I enjoyed getting to meet you as well and geeking out about points and miles. Hope to cross paths with you again soon! Gene – Did you just play around with that mileage run combination? I’m based out of DTW and just have so much difficulty when it comes to crafting a DL run from here. 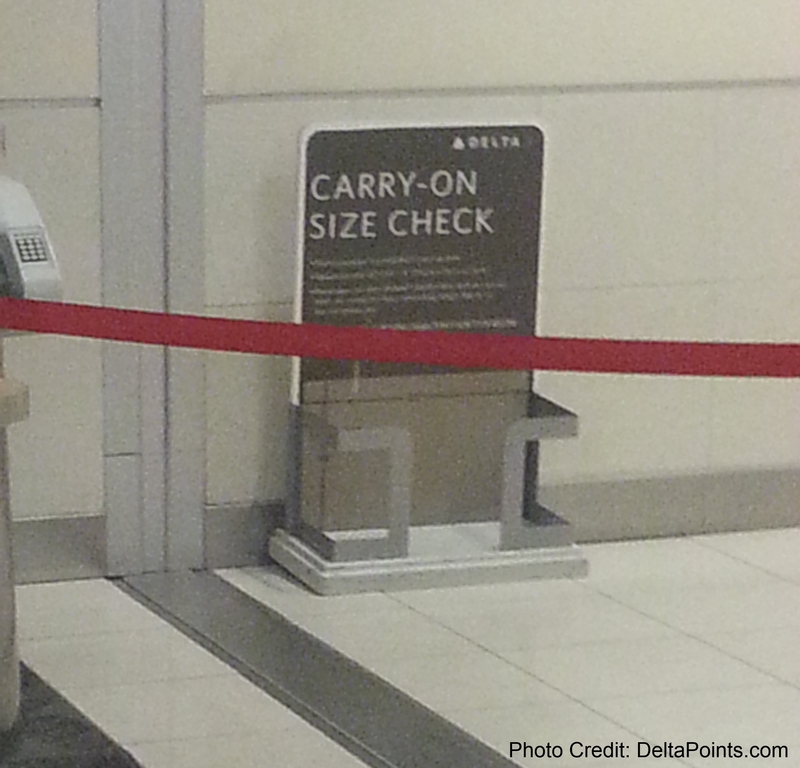 re: >> One thing that Delta never ever seems to enforce is the Size Check (old size wise) box. 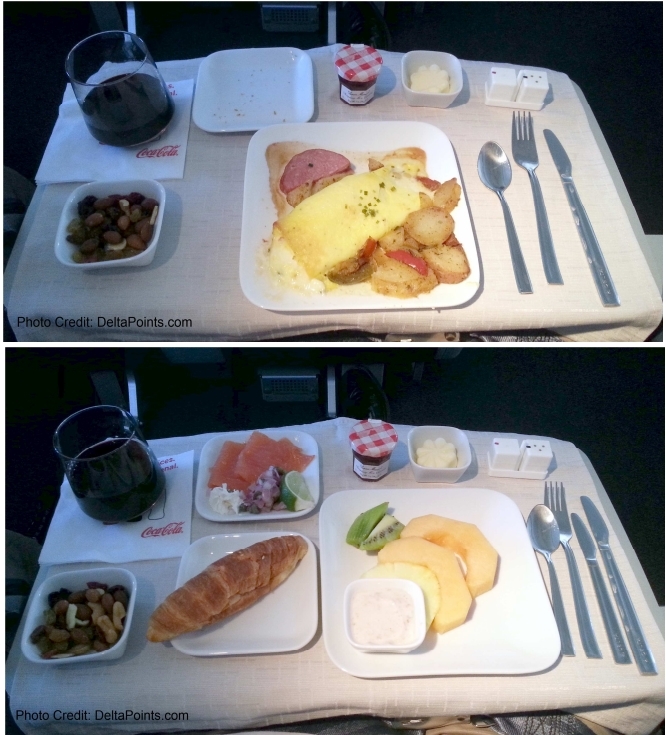 I BEG you Delta to do this. If this were enforced and rather than allowing FREE gate check, Delta could make another few billion dollars this year and we would not run out of overhead space like we do now. This is the rare time I WANT a rule enforced, not winked at. How about you? AMEN, AMEN & AMEN!!!! I totally agree! About 20% of the flights I am on now are delayed because of having a full flight and having to check baggage at the gate at the last minute. Delta agents seem pay no attention to this whatsoever. I’ve only seen one agent one time in the past 5 years try to enforce this. They should be checking this at the ticket counter as well as at the gate. I don’t get why they don’t try to enforce it. As you said Rene, they would likely make more money from additional checked bags. I can guarantee you it would decrease their flight delays that are caused by having to gate check bags significantly. Given how important on time stats are, you would think they would be doing everything possible to improve those. I think they are probably scared of doing it, so they don’t want a customer going ballistic at the gate because they won’t let them carry on their bag. There are so many bags that are blatantly obvious that they are larger that the legal size limit, but nobody, including the TSA seems to care about this. I even asked the TSA agents about it once and they said it was not their responsibility, it is up to the airlines to enforce it. BTW, a lot of the GM/PM/DM Medallions are guilty of bringing on those oversized bags too, it’s not just the casual travelers that don’t know any better. @David – very well said. I agree with you 100%. Txs for your thoughts. @Gene – I think is is more a function of fare class and status level. Few seats for advance upgrade. But thanks and keep us up to date please. While the detail in your post is informative, you have done all the legwork for DL execs to close the run loopholes on gamers such as yourself. I worry that as they crack down on low-spend gamers such as yourself, that everyone will feel the wrath as we did with the 72 hour award rule, SDC restrictions, etc. So be careful what you post! @FoS – you need to understand they get all that we do. They have run all the numbers. The only choice they make is one that will make them money. Plus, we are such a tiny “flea” in the dog that is all the medallion flyers in the program. But thanks! @FoS – I think you forget that Rene is paying Delta to take up seats that would otherwise go empty. Even though it is not that much revenue, it is better than nothing. I would think that they welcome mileage runners since they are basically doing the airline a favor in some sense. Great to meet you, René! And good post. I COMPLETELY agree about the carry on size enforcement. I get SO annoyed having to listen to the flight attendants instruct passengers how to load carry on baggage 8 times while boarding. I also see more passengers be hateful towards flight attendants over carry ons that are typically way over size. First of all, it isn’t the flight attendants’ fault, and 2) why should you get more space than any other passenger? BTW: another personal pet peeve is when folks (esp in EC or exit rows) put their small bags/personal items in the overhead bins early in the boarding process. 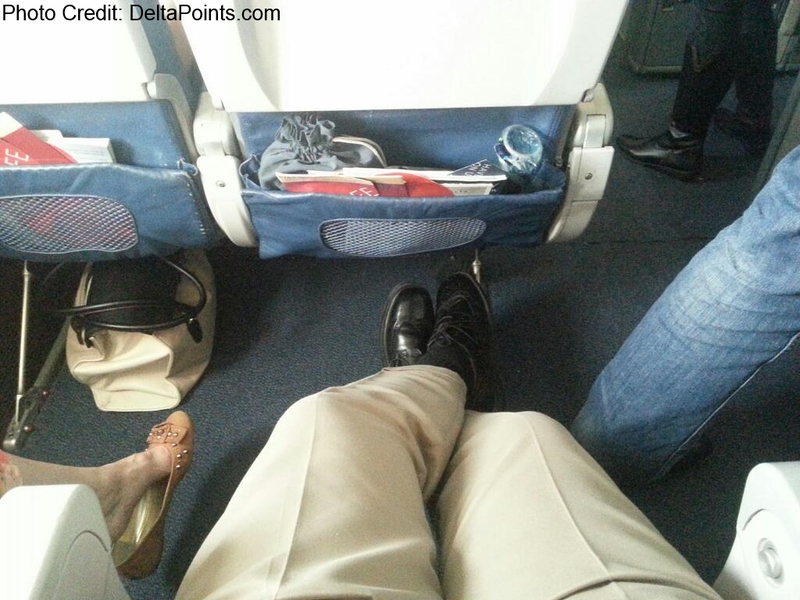 Leg room is precious, but it is courteous to wait until the flight has boarded to see if there is extra room up top. Sorry if I am stepping on toes; just my personal opinion. Either way, I am thankful for Prem, SKY, and Zone 1 boarding! @FoS–Rene is correct, DL knows all about the gamers. DL create these low fares as competitive broadsides to WN in markets like MKE where they are fighting for market share, though that business can’t be profitable. But I’m not sure those seats would have gone unsold. It’s not like Rene bought them at the last minute. But DL is making a choice to sell them at that price to keep him out of Southwest’s metal. They realize he’s not going to fly Southwest, but they can’t know who you are when they quote you the price. The airlines are smarter than the penny-wise, secrecy obsessed folk who comment to so many of these blogs, investing so much of their time to save a few dollars here and there, and trick the airlines out of this or that.